It took so much time that you all are getting this thing unboxed right now. That said, it’s a really great box and I’m excited for both the bookish items and the two books that came with them! A book sample from How do you like me now? by Holly Bourne. I hadn’t heard about this book before but according to the blurb it’s a book about a succesful author turning thirty and suddenly realising her life isn’t what she wants it to be. She compares her life with others and finds it lacking, and so she needs to change things, drastically. The only question is: Is she brave enough? It seems interesting and I’ve been looking into reading more contemporaries that aren’t romances so I’m gonna give this a try and tell you all about it. Two pins! The first one is from I was Born for This and pretty self-explanatory, it’s pretty cool and it can serve for any situation.It’s cool. The second pin is a Camp Halfblood Enamel Pin designed by FableAndBlack and it’s the cutest thing ever. Just look at that Pegasus with the greek borders. I love it, I’m gonna put it in my jean jacket right now. #PrefersFictionalWorlds Box, which, same. A little box (for lunch in theory but it’s gonna be filled with bookish stuff, let’s be real) with artwork by the amazing Alice Oseman. Her art style is simple and fluid, I first saw her art through her web comic Heartstopper, based on two side-characters from her novel Solitaire. In here we have original designs for the box of four people who, like most of us, prefer fictional worlds. Who doesn’t like Avatar: The Last Airbender or Legend of Kora? This metallic page markers are inspired by the four nations on the series. I personally like water the best but all four of them are great. These are made by AnotherStudio exclusively for this Illumicrate box, you can see more stuff on their page and I’m gonna be using these on the new books I have now. Exclusive edition Advanced Readers Copy of Light Years by Kass Morgan, author of The 100. I must admit I don’t watch The 100 since I’m not big on dystopias at the moment, but what I did see I loved. The world was gritty and merciless and the humans still tried to keep an appearance of civility… This book is about rocket pilot school and racists. Which is, obviously, a gross over-simplification. Here we have a group of young pilots who want to make a name for themselves and achieve a better life, the best way to do that is to be the very best. Just now the academy has decided to let people from all the planets in the solar system enrol, and as we know: people with privilege will clutch their pearls at other people accessing those same privileges. It feels very on point for the current world climate and I can’t wait to read it. A book sleeve! I never had one of these before, it’s super soft inside and thick, also it’s my favorite color: blue so I’m sold. This is an “It is your time” Black Panther design by Risarodil. I watched this movie with a friend of mine who studied Comicbook Design and he was amazed by how perfectly they made it. I just really liked the movie too but his opinion is more important than my simple: I loved the colors. In this design I love how the centre, where your eyes are drawn to, isn’t the Black Panther but more the women who made him who he is. I feel like it really gives the same vibe as the movie: strong characters who are owning their time. 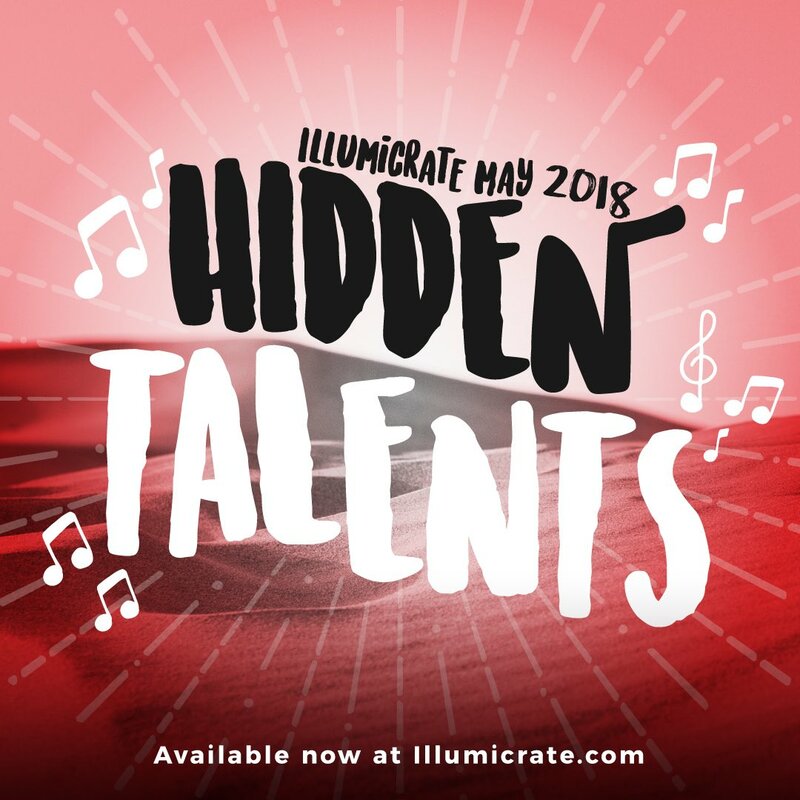 This was the Hidden Talents Box!